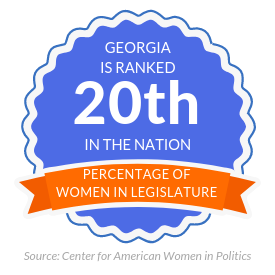 Home - Georgia's WIN ListGeorgia's WIN List | A Political Action Committee for Democratic Women in Georgia. Check out our new leadership team for 2019-2020 here! HELP US #FUNDTHEFLIPS FOR 2020 TODAY! Georgia WIN List is a grassroots Political Action Committee (PAC) dedicated to changing the face of power in Georgia by recruiting, training, supporting, electing and re-electing Democratic women for statewide and legislative office who will be effective advocates for the issues most important to women and families, including the preservation of reproductive freedom. Since 2000, we have helped elect and re-elect more than 70 endorsed women, with 44 of them currently serving – 12 in the Senate and 32 in the House. We have trained more than 1,800 women to run for office over the years.